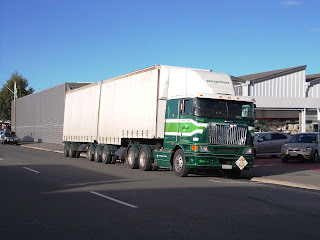 Looking at a summary of the hits on my various blogs, it is obvious that my truck photos get the most attention. 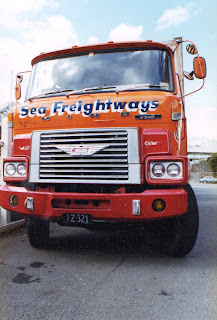 So I will endeavour to keep my truck photos coming out of the archives. Please feel free to comment. RFL pulled A-trains with these single screw R series Macks. 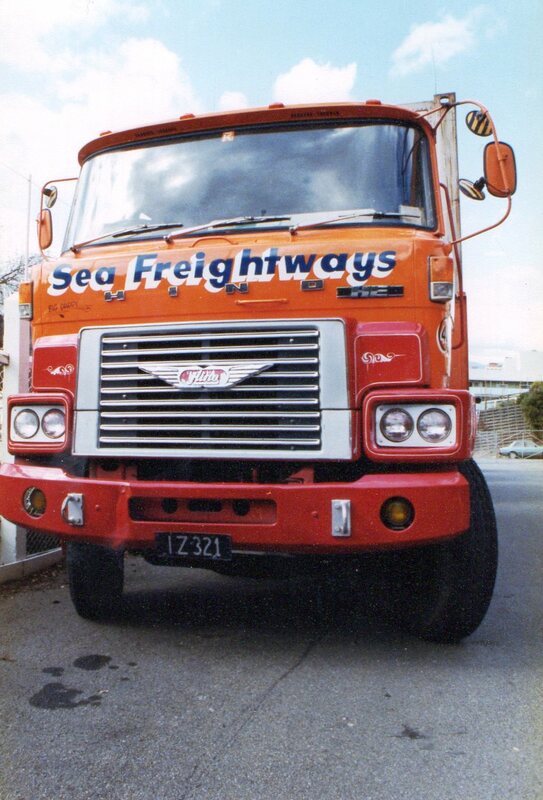 In fact they were two semi-trailers with a single axle detachable dolly under the second trailer. 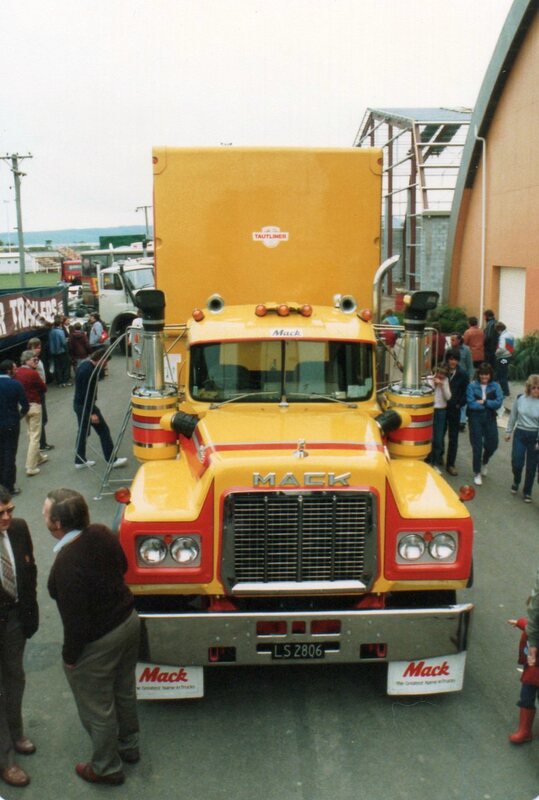 In typical American day cab fashion, Mack's Cruise liner day cab was tall and narrow. 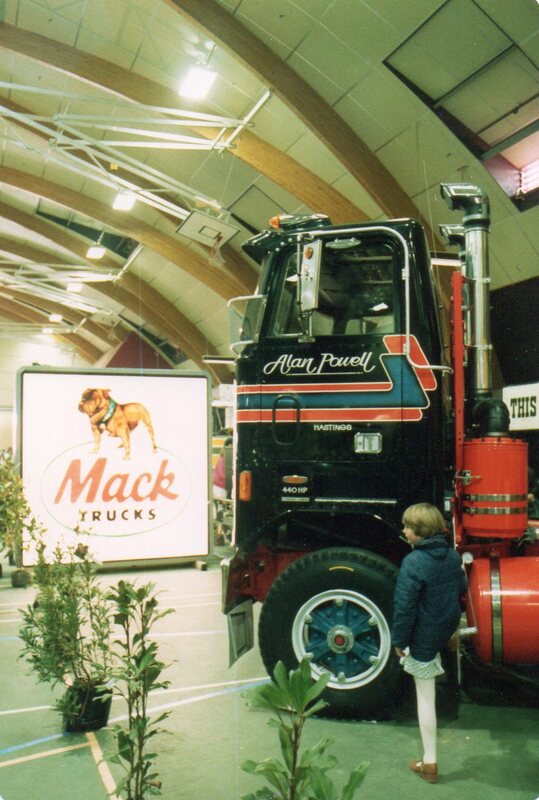 Alan Powell's new rig was on display at a truck show in the Pascal Street stadium in Palmerston North. 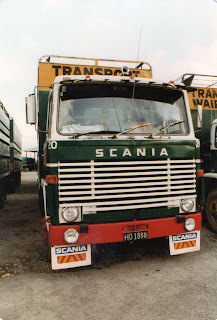 LK series Scanias had the set forward front axle with the access steps behind the mudguard. Transport Wairarapa also had a number of Scanias, but theres were LBs with the set back front axle. 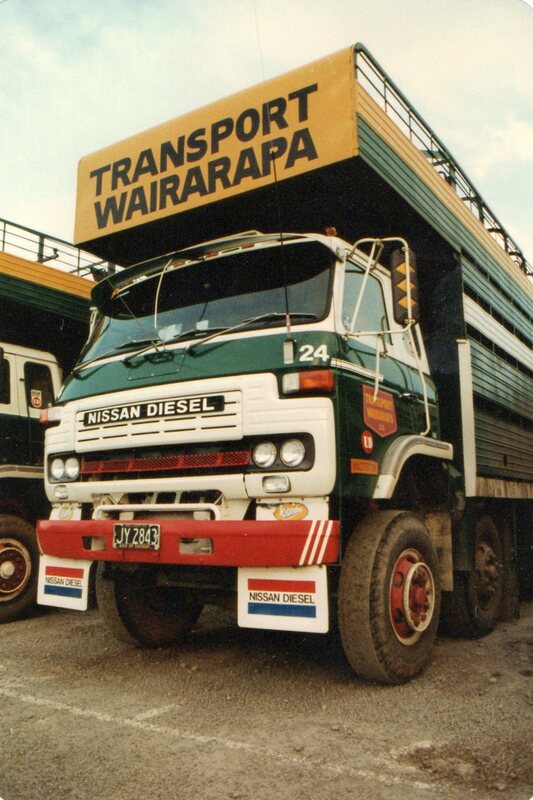 Transport Wairarapa also had a couple of these 8 wheeler Nissans. 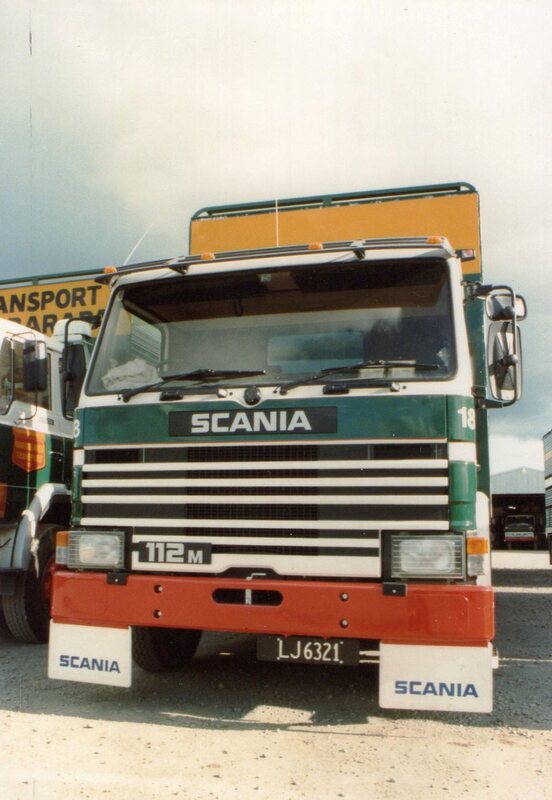 With a very high mounted cab and only a step ring on the front wheel, they looked as if they may have been difficult to get in and out of. 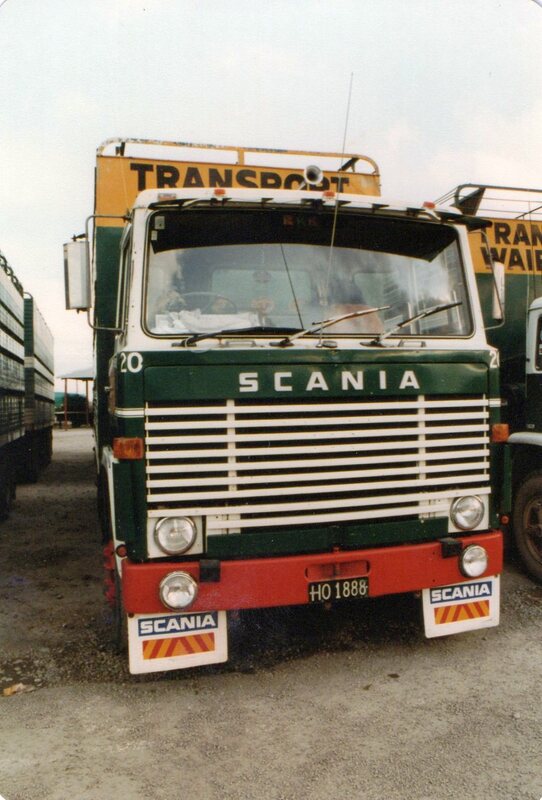 They also ran some later model Scanias with the lower P cab. 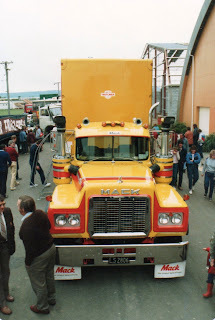 This R series Mack, I think, was used in a TV programme about a trucker. I can't remember the name of the show, but it starred Andy Anderson. 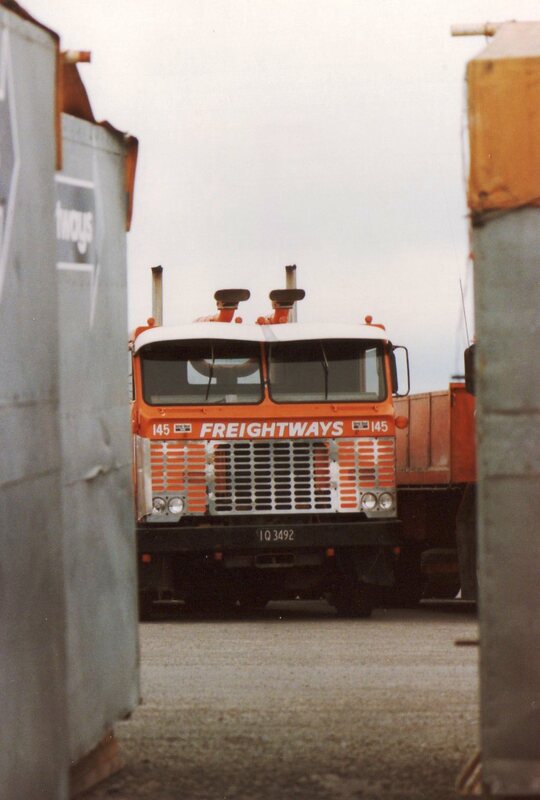 Denby has asked me if I have any photos of the Freightways Oshkoshs. I think this might be the only one Denby. 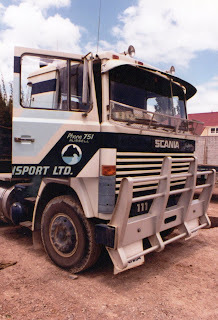 I have been a bit slack with posting new blogs lately. I had intended to be out on the Beemer during the summer taking lots of photos, but alas our summer was so bad I didn't go very far at all. In fact I have travelled more during autumn as it has been more settled. I haven't many new pix so here are some more (a mixture) from my archives. A couple of years ago a workmate who was approaching retirement age, decided to relive his youth and buy a motorcycle again. 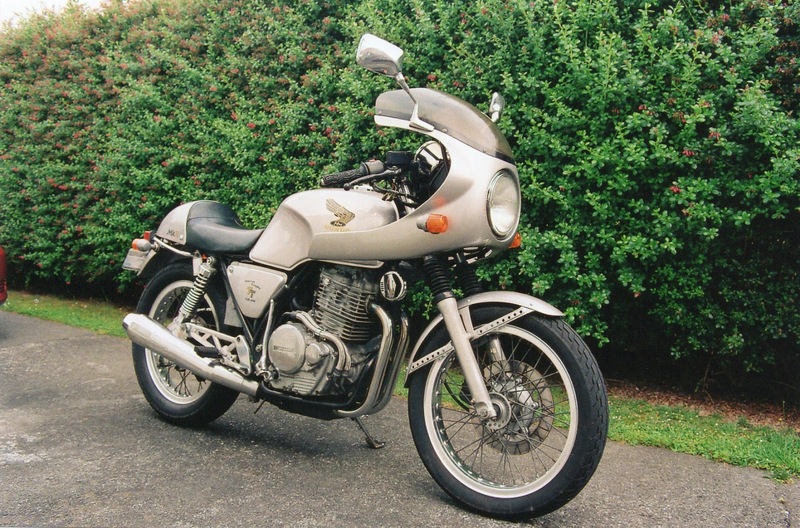 He purchased this Honda GB400TT Mk II from Hawera and asked me if I would ride it home as he hadn't been on a bike for some years. I'll give anything a go (especially riding a bike) but was wondering how I would cope with the lowish bars and a vibrating single over a distance of some 270kms. I need not have been concerned. The single was much smoother than I imagined and the riding position near perfect. 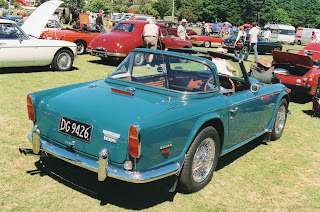 A most enjoyable day. The DS Citroen always looked futuristic, but I think the DS21 with the 4 headlamps looked the best. 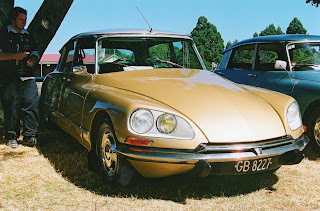 This 1969 model was snapped at a Citroen meeting in 2009. Two Silver Clouds, a '55 and a '60 at a British Car Day in 2009. Morris 1000s are my favourite small car. 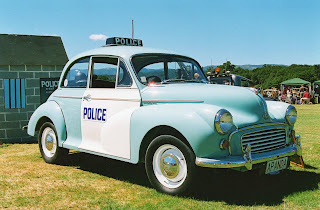 This 1957 model in Police livery is at the same event as the Clouds above. Same event again. 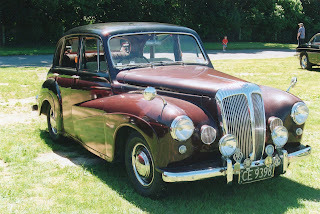 A 1956 Daimler Conquest. 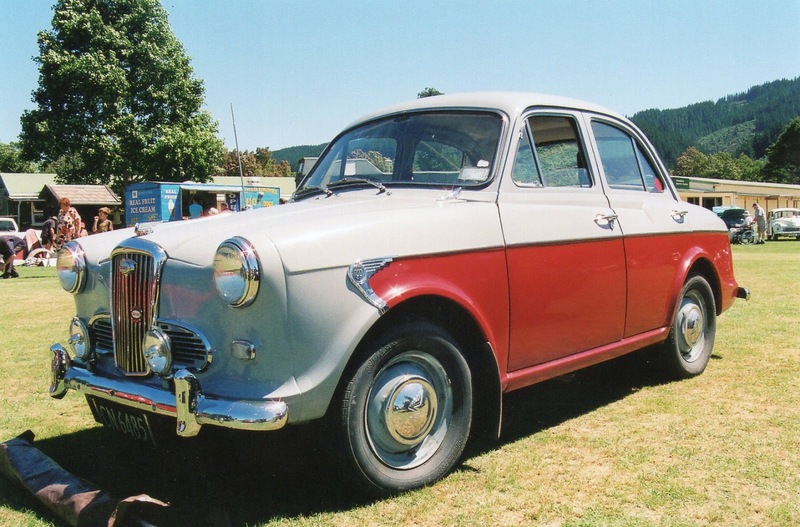 Not a common car to see restored in NZ. 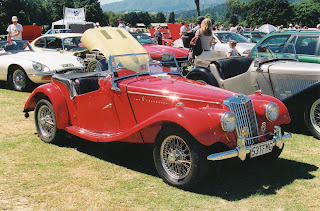 A '53 MG TF. The same age as me and in better shape! 1968 Triumph TR5 P.I. I think this configuration is called a "Surrey" top, I'm not sure if this was an option or whether all could be configured this way. 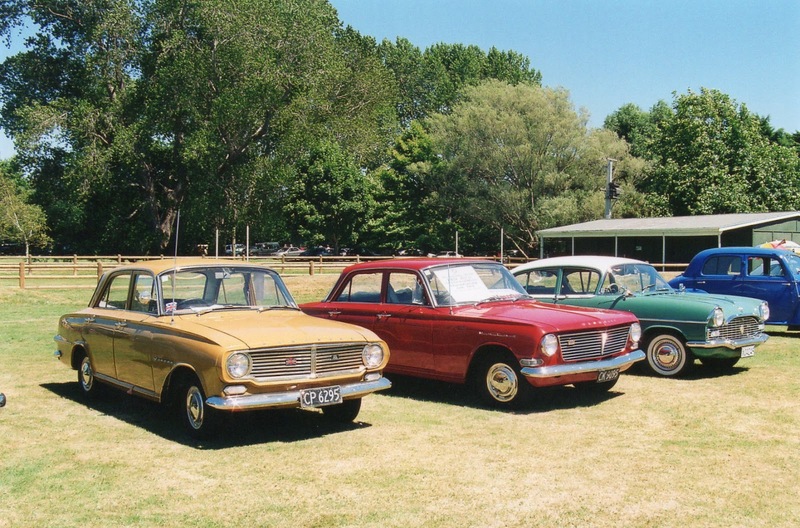 Three Vauxhalls. 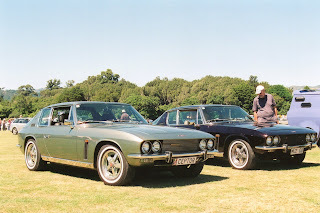 '63 Victor, '63 Velox and '62 Velox. Jensen Interceptor twins. A '73 and a '75. 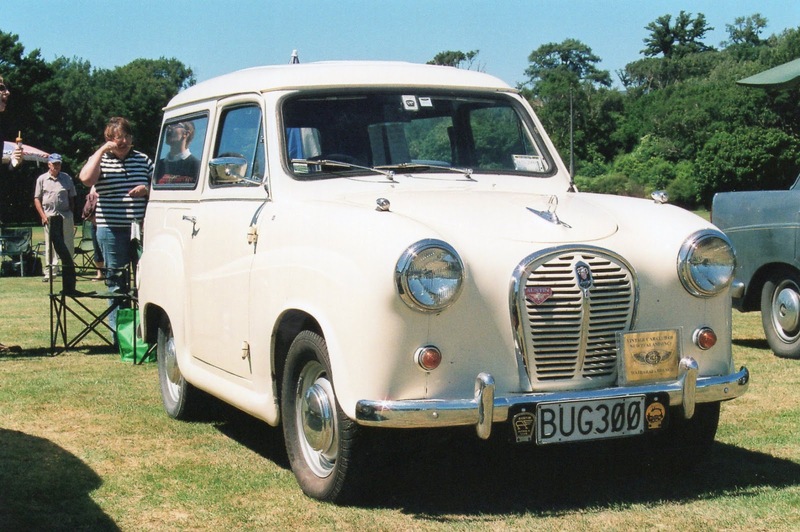 A cute little Austin A 35 Countryman from 1963. The Anglia from Ford was a popular car to modify, when I was a young man. 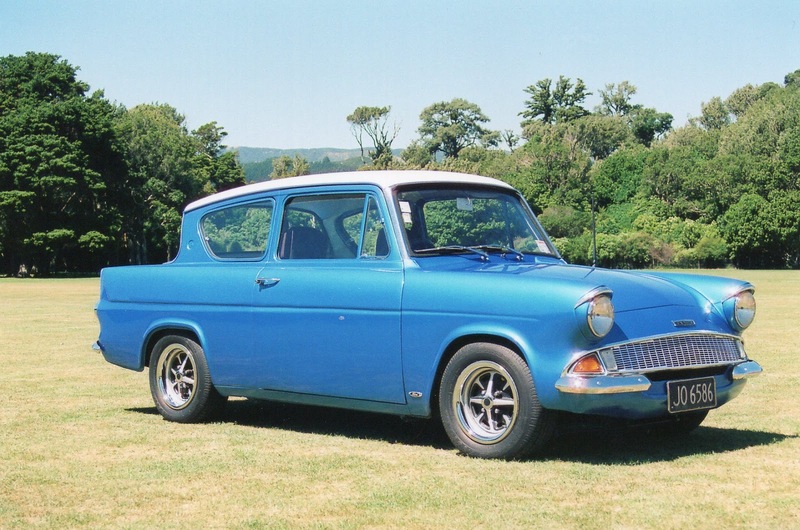 The Rostyle wheels and fat tyres suggest that this one may have some engine mods. 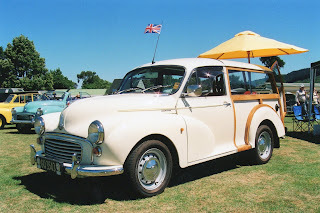 This 1967 Morris Minor 1000 Traveller has non standard wheels. I'm not sure what they are off, but they look a little bit like those from an MGA. Two series 2 Minor covertibles. 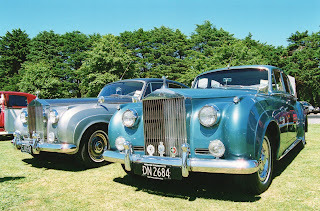 A '54 and a '56. 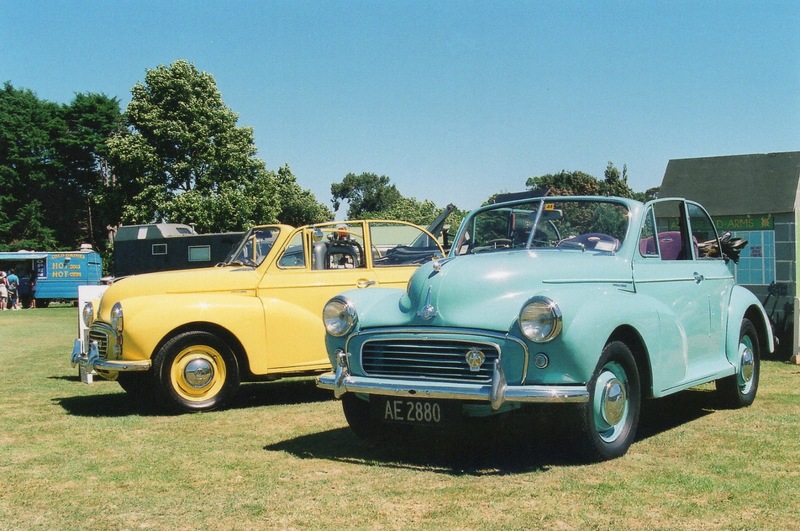 Morris 1000, but the Morrie soldiered on in production long after the Wolsely and Riley production had ended. 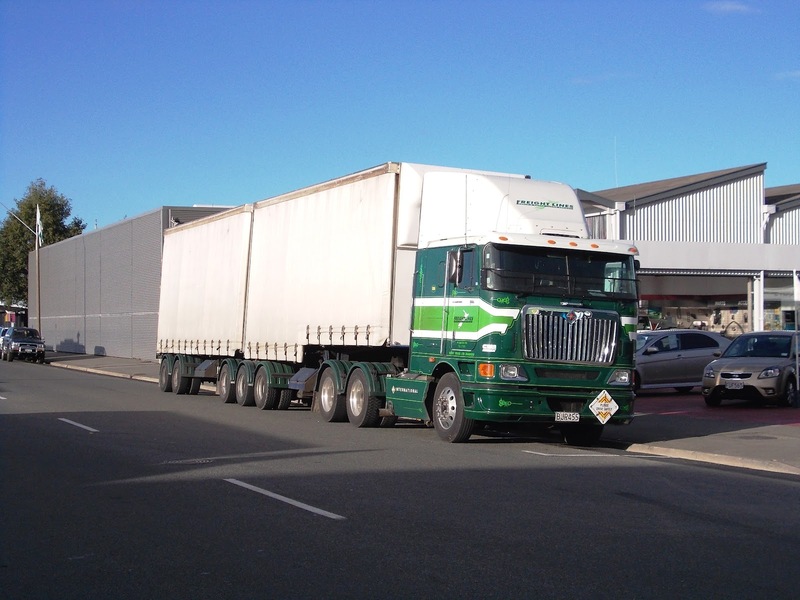 On the 20th of April this International 9800i parked outside my work place just as I was closing up to go home, so I had to snap it. 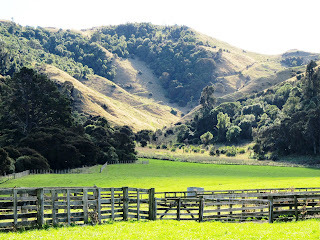 On the weekend of the 21st and 22nd of April, both my daughters were home and my wife's sister was also visiting so on the Sunday we went for a walk in the Rewanui Forest Park. 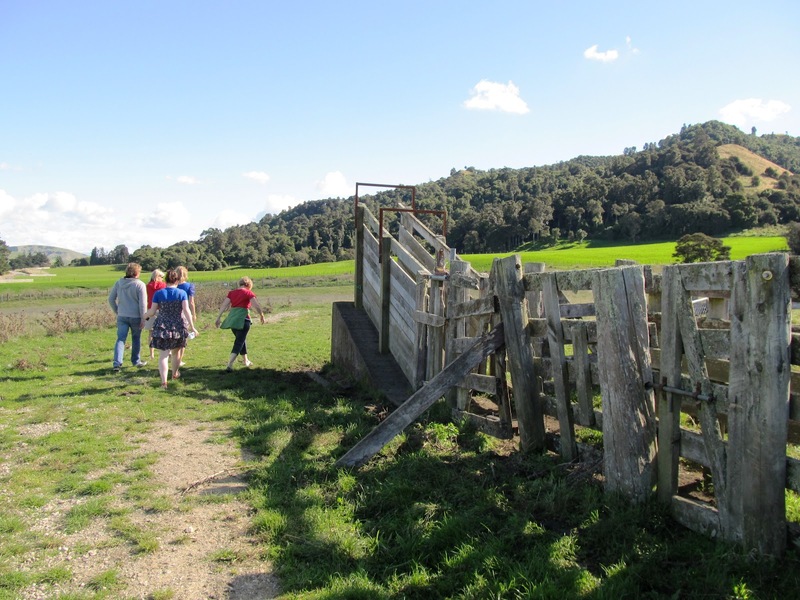 It is on farmland and offers a variety of walks according to ones ability. here is the family heading towards those bushes on that hill. 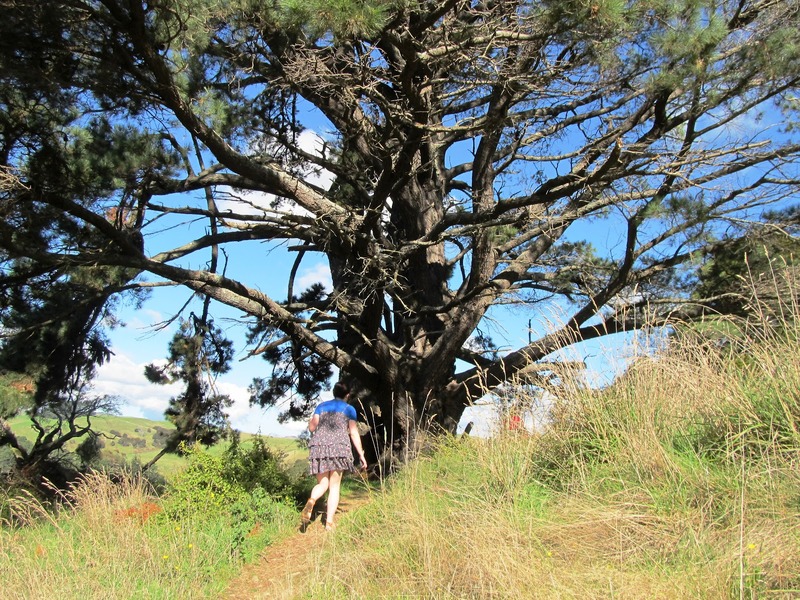 My daughter Alice makes her way through the beautiful bush. City slicker, Alice, in her sandals walks near a huge ugly tree. The Taipos at Langdale form a jagged skyline. 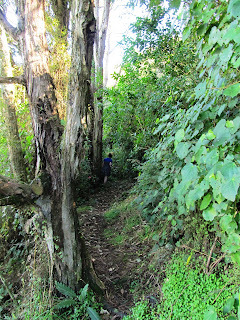 There is also a track to the top of this hill, but as members of my family suffer from an arthritic condition we did not attempt this. 25th of April is ANZAC Day, and a holiday in NZ. 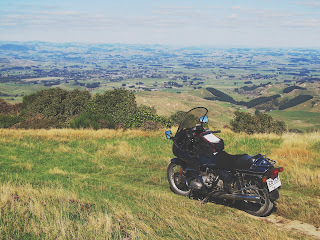 On that day I decide to ride the Beemer to the top of Whariti near Woodville. 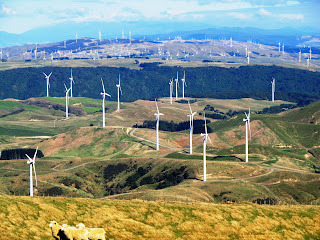 Here is the Te Apiti windfarm from that road. 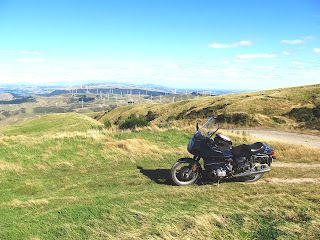 I never got right to the top as the road is quite rough going (in places) for a road bike. 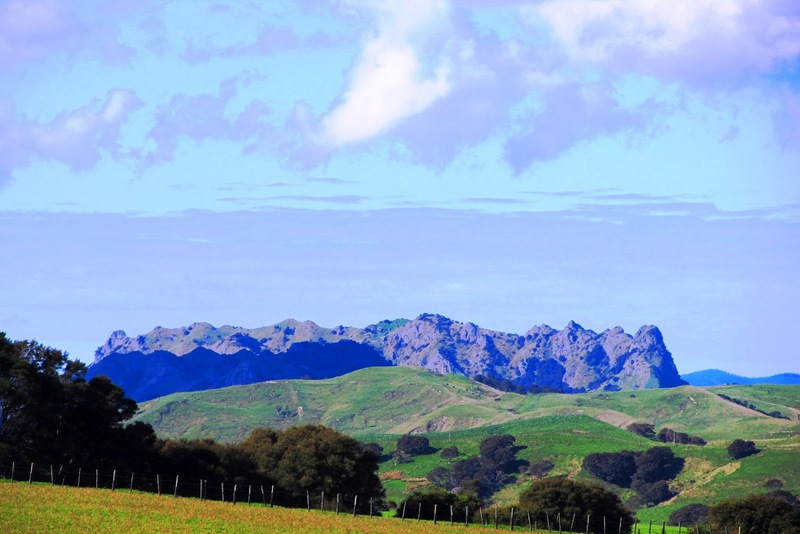 Apparently, at the top, it is possible to see the east and west coast of the North Island. In this photo the view is towards Woodville. 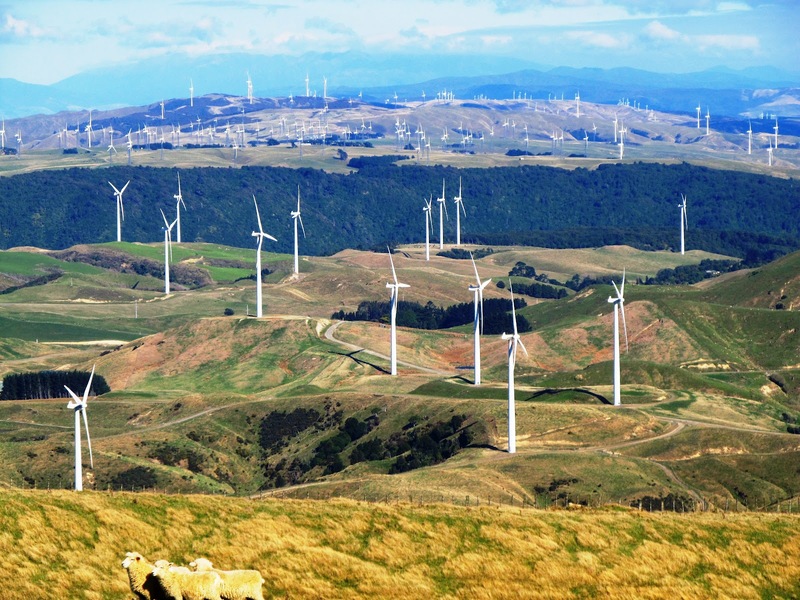 From the same location, looking towards the wind farm. 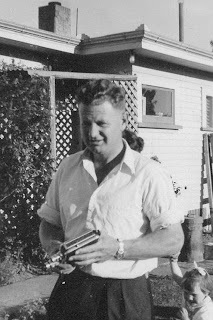 My cousin Ted Thornton passed away on the 18th of April and I attended his funeral on the 20th. I always had a lot of respect for Ted. He was some 20 years older than me, but it was always obvious to me that he was a hard worker and loved a to joke and have a good laugh. 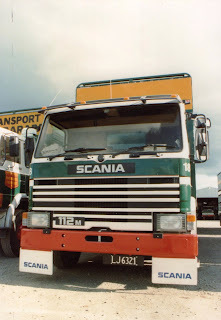 Ted was a keen photographer. This pic from the 60s shows him with his "wind-up" movie camera. 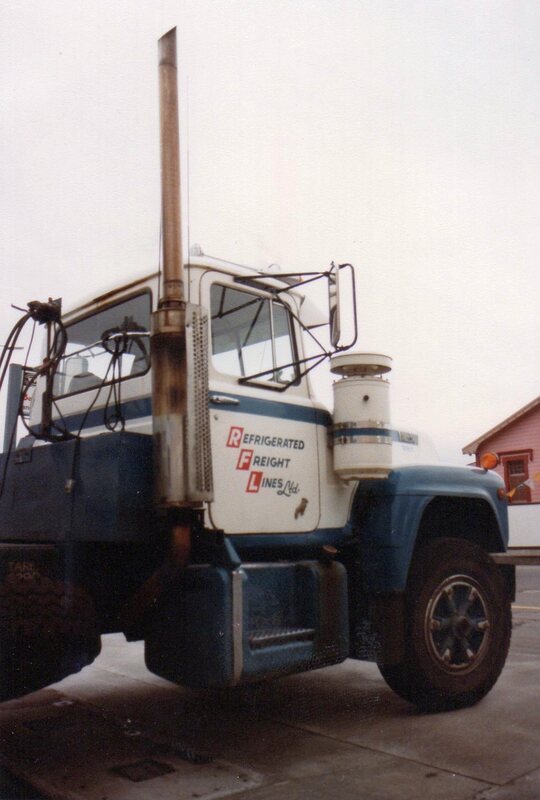 Battery technology came later. 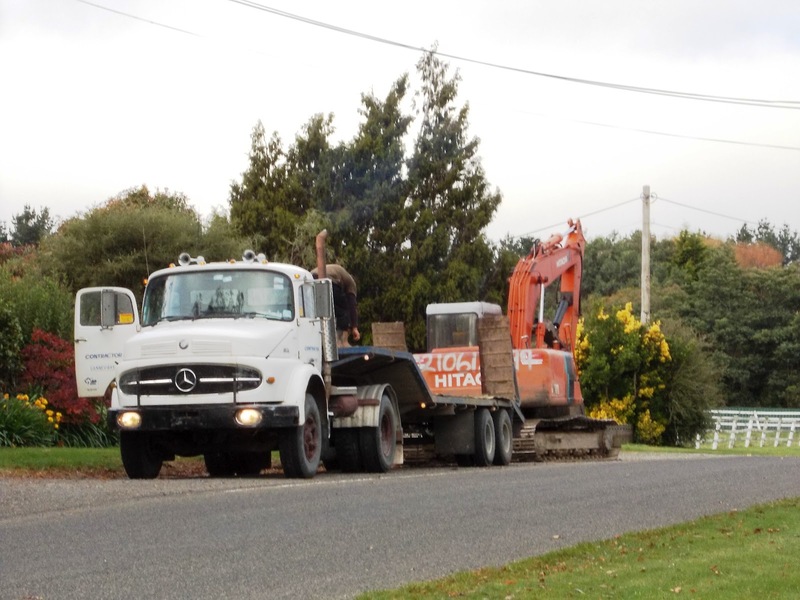 At Eketahuna I saw this Mercedes Benz 1924 unloading a digger. An old Benz still giving good service.